To maintain cell connections, the outer surface of a neuron, its membrane, must reach out to greet nearby cells with unique protein "hands". Sometimes this long handshake can overstay its welcome. A protein that lingers too long on the membrane surface of another, can compromise the connection - synapse - between cells. In a new study, Rockefeller scientist Mary E. Hatten and research associate Hourinaz Behesti demonstrate that the protein ASTN2 helps move proteins away from the membrane in a timely fashion. They also propose a mechanism by which defects in ASTN2 lead to neurodevelopmental disorders such as autism and intellectual disabilities. Their work appears in Proceedings of the National Academy of Sciences of the USA, PNAS. Neurons send messages to one another chemically as neurotransmitters, these activate receptor proteins on the surface of neighboring cells. Chemical communication is highly dynamic, meaning receptors must be dynamic too. They perpetually rotate on and off the membrane surface, to ensure rapid responses to incoming signals. This requires assistance from other proteins - traffickers - to get receptors to move on. Hatten, the Frederick P. Rose Professor, has demonstrated that the protein ASTN2 acts as such a trafficker during cell migration in early development. When Behesti joined Hatten's lab, she proposed that ASTN2 might also play a role later in life, an idea supported by its presence in the adult brain. Protein appears to be disproportionally expressed in the cerebellum - a brain region that some researchers suspect may govern complex aspects of thinking, in addition to its established role of regulating movement. Hatten and Behesti needed to understand the function of ASTN2 in the adult cerebellum. A clue came by way of collaborators at Johns Hopkins University who had identified multiple members in a family with neurodevelopmental disorders, including autism and language delay. Concurrently, an independent study of a large population showed that ASTN2 mutations are associated with a wide variety of brain disorders. Hatten and Behesti set out to determine how defects in this protein might disrupt cerebellar circuitry, and brain activity at large. Using a special microscopy technique, they determined ASTN2 appears primarily in components of neurons responsible for moving proteins around. They then identified a collection of molecules that attach to ASTN2. These "binding partners" included proteins involved in synapse formation and protein trafficking. When they increased expression of ASTN2 in mouse neurons, levels of its binding partners decreased. This suggests ASTN2 attaches to binding proteins before ushering them away from the membrane to be degraded within the cell. Along with researchers at Duke University, they also saw cells with increased ASTN2 form stronger synapses - suggesting decreased ASTN2 yields less synaptic strength. The researchers now propose that without sufficient ASTN2, proteins accumulate on the cell surface, hindering neural connections and communication. Behesti: "Synapses aren't static. They need to respond in real time to dynamic stimuli. One of the ways they do this is by changing their surface protein expression. Our data suggests that people with ASTN2 mutations make less of the protein, which leads to slower or weaker synapses." These results support a view that disruption of the composition of surface protein may underlie a number of neurodevelopmental disorders. 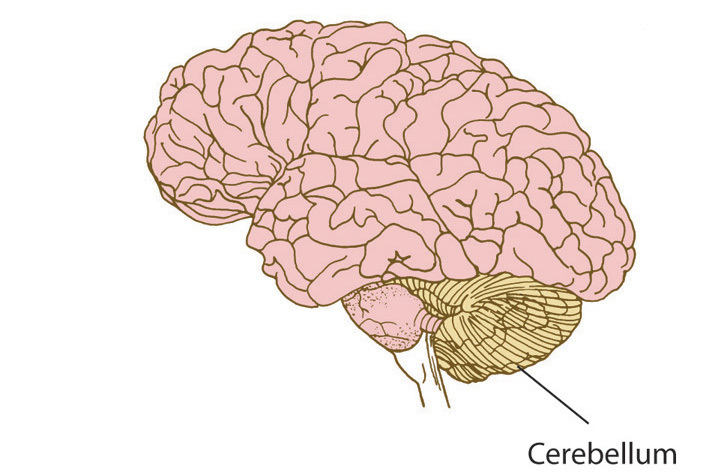 It also points to the cerebellum as a potential area for more research in understanding these conditions. "People are just beginning to realize that the cerebellum isn't just there to control movement and motor learning," says Hatten. "It has much more complex roles in cognition and language.". Neurogenetic studies demonstrate that copy number variations (CNVs) in the ASTN2 gene occur in patients with neurodevelopmental disorders (NDDs), including autism spectrum. Here, we show that ASTN2 associates with recycling and degradative vesicles in cerebellar neurons, and binds to and promotes the endocytic trafficking and degradation of synaptic proteins. Overexpression of ASTN2 in neurons increases synaptic activity and reduces the levels of ASTN2 binding partners, an effect dependent on its FNIII domain, which is recurrently perturbed by CNVs in patients with NDDs. These findings suggest that ASTN2 is a key regulator of dynamic trafficking of synaptic proteins and lend support to the idea that aberrant regulation of protein homeostasis in neurons is a contributing cause of complex NDDs. Surface protein dynamics dictate synaptic connectivity and function in neuronal circuits. ASTN2, a gene disrupted by copy number variations (CNVs) in neurodevelopmental disorders, including autism spectrum, was previously shown to regulate the surface expression of ASTN1 in glial-guided neuronal migration. Here, we demonstrate that ASTN2 binds to and regulates the surface expression of multiple synaptic proteins in postmigratory neurons by endocytosis, resulting in modulation of synaptic activity. In cerebellar Purkinje cells (PCs), by immunogold electron microscopy, ASTN2 localizes primarily to endocytic and autophagocytic vesicles in the cell soma and in subsets of dendritic spines. Overexpression of ASTN2 in PCs, but not of ASTN2 lacking the FNIII domain, recurrently disrupted by CNVs in patients, including in a family presented here, increases inhibitory and excitatory postsynaptic activity and reduces levels of ASTN2 binding partners. Our data suggest a fundamental role for ASTN2 in dynamic regulation of surface proteins by endocytic trafficking and protein degradation. Hourinaz Behesti, Taylor R. Fore, Peter Wu, Zachi Horn, Mary Leppert, Court Hull, and Mary E. Hatten. We thank Dr. Inés Ibañez-Tallon (The Rockefeller University) for the pFU-cMVIIA-PE plasmid and for helpful discussions. We are indebted to Drs. Beatriz Antolin-Fontes and Nathalie Blachere (The Rockefeller University); Kunihiro Uryu and Nadine Soplop (Rockefeller University EM Facility); Pablo Ariel and Alison North (Rockefeller University Bio-Imaging); Svetlana Mazel, Selamawit Tadesse, and Stanka Semova (Rockefeller University Flow Cytometry); and Brian Dill (Rockefeller University Proteomics) for expert advice and technical assistance. We thank Drs. Mustafa Sahin (Boston Children’s Hospital), David Solecki (St. Jude Children’s Research Hospital), and Eve Govek (The Rockefeller University) for helpful comments on the manuscript and Yin Fang for technical support. We also thank Leila Jamal and Dr. Denise Batista (Kennedy Krieger Institute) for communicating details of patient CNVs and facilitating sample collection. The Neuroligin constructs were kind gifts from Drs. Ann-Marie Craig (University of British Columbia) and Peter Scheiffele (University of Basel), and the SLC12a5 construct was from Dr. Pavel Uvarov (University of Helsinki). This work was supported by the Eugene W. Chinery 2012 Trust (M.E.H. ); the Renate, Hans, and Maria Hofmann Trust (H.B. and M.E.H. ), NSF Predoctoral Fellowship DGF 1106401 (to T.R.F. ), and National Institute of Neurological Disorders and Stroke Grant R01 NS096289-01A1 (to C.H.). The Rockefeller University Proteomics Resource Center acknowledges funding from the Leona M. and Harry B. Helmsley Charitable Trust. This study makes use of data generated by the DECIPHER community; a full list of centers that contributed to the generation of the data is available from https://decipher.sanger.ac.uk/, and funding was provided by the Wellcome Trust. During movement cycles, clathrin-mediated endocytosis releases ASTN-based adhesions beneath the cell soma (step 1) allowing the neuron to glide forward along the glial fiber. The accumulation of ASTN1 we observed at the front edge of the migrating neuron in the proximal portion of the leading process suggests that receptor dynamics. Image: Mary E. Hatten, PhD (more images).